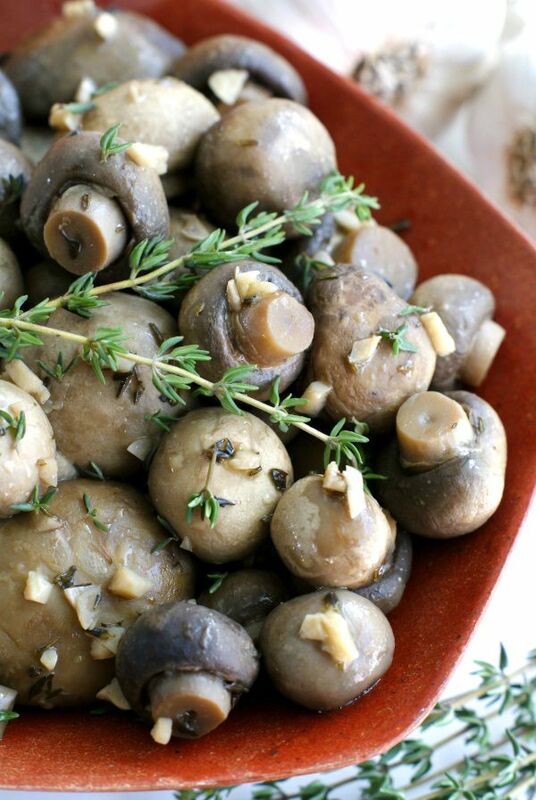 Slow Cooker Garlic Mushrooms are an easy to make, delicious side dish combination of button mushrooms with white wine, garlic, and fresh herbs! One of my very favorite cooking methods is slow cooking. My slow cooker is well-loved and frequently used, especially for those hearty fall stick-to-your-bones kind of meals. While slow cookers are perfect for those rich meals, it's also great for cooking light sides like these Slow Cooker Garlic Mushrooms that are perfect served with steaks, pork and chicken! The best part about this recipe? The broth is the perfect base for a killer mushroom gravy or vegetarian soup. Yes! Check out the recipe for this easy to make appetizer over at Real Housemoms, where I am a monthly contributor.